Award-winning chef and owner of Washington DC’s most authentic Italian restaurant, shares some of his favorite, easy-to-prepare recipes, creating a simple, yet delicious Italian weeknight meal. The true food of Italy is simple, pure and sparkling fresh so that it nourishes your body and embraces your soul. Italy! Food! Two words that inspire passion in everyone. A country whose cuisine has delighted the world now has its native son bringing the flavors, tastes, and feel of Italy to kitchens everywhere. Chef Luigi Diotaiuti, chef/owner of Al Tiramisu in the heart of Washington, DC, loves to prepare the foods of his native country, taking traditional ingredients and elevating them to new heights. It is this approach to food that has made Al Tiramisu a popular choice for heads of state, politicians, and celebrities from around the globe. With the arrival of spring, Chef Luigi recommends taking advantage of the fruits and vegetables now in season, creating light, easy-to-prepare recipes that bring joy to weeknight dining. Chef Luigi suggests serving up these delightfully simple yet delicious recipes that bring a bit of Italy to the family table. This quick weeknight pasta dish is a delicious and elegant first course for any occasion. Be sure to use a good quality smoked mozzarella because it is the main ingredient of the dish. Smoked mozzarella has a lot of advantages because it lasts for a long time and can be added to sandwiches, soups, stuffing, and pasta. It's a great addition to anything that you'd like to enrich and enliven. Heat 1/2 of the olive oil in a large wide skillet over medium heat. Add garlic and cook just until it releases its aroma and begins to turn blonde colored. Add cherry tomatoes and asparagus and stir to coat. Bring a large pot of water to a boil over high heat. As soon as water boils, add a pinch of salt. Add penne, stir, lower heat to medium low, and cook for 10-13 minutes, or until al dente. Drain the pasta. Add pasta and a few tablespoons of the pasta water to the vegetable mixture. Add in smoked mozzarella and toss well to combine and melt mozzarella. Once mozzarella is melted, tear the basil leaves into the dish and stir well to combine. Drizzle the remaining half of the olive oil over the pasta to add shine and extra flavor to the dish. Plate immediately and serve hot. Use smaller pieces of fresh asparagus if preferred. Just trim the stalks and cut 1-inch pieces on the bias and add into the recipe - sauté until tender before going to the next step. Chef Luigi says this is a great recipe for kids to help prep, especially finicky kids who don’t want to eat vegetables. This fun and easy recipe lets kids have fun creating a meal that they will love to eat. Nothing compares to the rich, musky aroma of fresh, locally grown melon. Interestingly, the English word “cantaloupe” comes from the Italian Cantalupo, a papal seat near Rome, and the first place in Europe where cantaloupe was grown after being introduced from the Persian Empire. "This dessert is very easy to prepare and can be transformed into to a family style recipe by adjusting the sugar content and omitting the alcohol if preferred. I love the style, simplicity, and pure, seasonal flavors of this recipe so much that I often make it for television cooking demos. Keep in mind that this recipe benefits from being refrigerated overnight – so it is perfect for entertaining." Place the melon in a food processor, blender, or juicer - add the lemon juice, sugar, and 1 tablespoon of the liqueur. Pulse on and off until you have a liquid puree which is completely uniform. In a medium saucepan add the gelatin mixture and the remaining tablespoon of liqueur and allow it to melt over medium heat. Add the remaining tablespoon of liqueur and the cantaloupe puree. Stir well from the bottom and sides to avoid the gelatin from crystallizing. Transfer the mixture to 6 (2 ounce) ramekins or cups and cool to room temperature. Refrigerate for a minimum of 6 hours or overnight. To serve, carefully unmold the containers with the help of a butter knife and invert onto a serving dish. Serve with the sauce of your choice, chocolate, and lady fingers, if desired. Sommelier’s Tip: Strega is an Italian herbal liqueur that has been produced since 1860 in Benevento, Italy. The presence of beautiful and distinctive saffron – and 70 other herbal ingredients including mint and fennel make it the perfect partner for the flavor of cantaloupe. The word Strega means “witch” in Italian, because the combination of 80 proof potency and scores of powerful herbs make it a recipe to be reckoned with. Award-winning chef, certified Sommelier and restaurateur, Luigi Diotaiuti, is a world-renowned authority on Italian cooking and living. Born on a farm near Lagonegro, in the mountains of southern Italy, Chef Luigi has made it his life’s work to bring the passion and joy of Italian cuisine to everyone he has cooked for. He began his culinary education at the Culinary School in the beautiful seaside town of Maratea, and his formal training includes working in renowned restaurants such as Hotel Georges V in Paris, the Grand Hotel Bauer Grunwald in Venice, Il Gourmet restaurant and Hotel Bellavista in Montecatini, Tuscany and Costa Smeralda and Forte Village in Sardinia. He opened the award-winning Al Tiramisu restaurant on his birthday in 1996, after having worked at several legendary Italian restaurants in Washington, DC. While Secretary of State, Hillary Clinton inducted Chef Luigi into the American Chef Corps, an elite group of some 80 “culinary ambassadors” from around the country. His commitment to authentic, respectable and sustainable food practices is witnessed through his charitable efforts at farmer’s markets, participating in culinary competitions, and hosting benefit events. He is a member of The James Beard Foundation (where he has been invited as a guest chef), Slow Food DC, The International Association of Culinary Professionals, the Culinary Historians of Washington, Confrérie de la Chaine des Rȏtisseurs, the world’s largest gastronomy organization, is affiliated with the National Concierge Association, and is also a member of Ciao Italia, a Rome-based nonprofit association of international restaurateurs. When he is not cooking for celebrities and dignitaries like Italian Prime Minister Mario Monti, Secretary of State Hillary Clinton, and actor George Clooney, Chef Luigi makes frequent appearances on US and Italian television and has been featured in countless print media articles. A born educator, he currently conducts regional Italian cooking and wine –pairing classes at Al Tiramisu. Chef Luigi is in the process of publishing his first cookbook, to be out later this year. 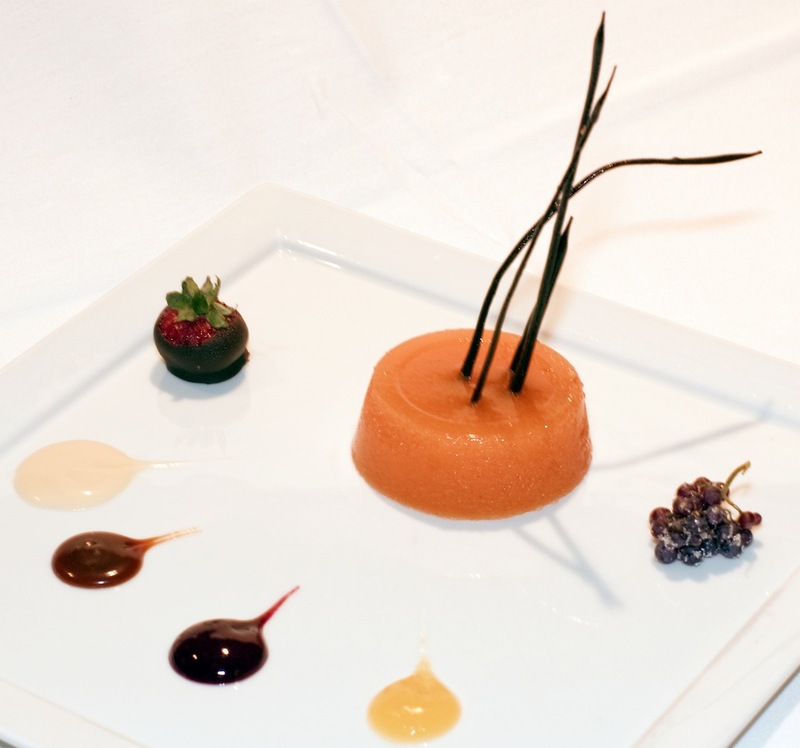 To learn more about Chef Luigi Diotaiuti, visit his website, http://www.AlTiramisu.com.